My husband Dave and I are on Day 61 of our elimination diet, and he recently learned that he has a mild sensitivity to eggs. [sad trombone]. We can try re-introducing them in a few months, after our guts have healed, but for now, he can’t eat eggs — and I’m boycotting them in solidarity. While Dave is most bummed about breakfast, I was more concerned about the lack of homemade mayo in our lives. In desperation, I turned to the dark side: vegan mayo recipes. The concept seemed pretty simple: Replace the egg with flax seed + water and add acid and flavorings. All of the recipes I found used iffy technique for the emulsification, and some of the added flavorings were decidedly questionable. I wondered what would happen if I just swapped in the flax and used my own mayo ingredients and instructions. The traditional blender version was pretty good taste-wise, but the texture left a lot to be desired. Then I tried again with my stick blender. It worked! If you don’t have to, I don’t recommend it. If you don’t have a damn good reason to avoid eggs, stick with the “real” version of my homemade mayo. This eggless version is very good, but not as creamy as the original. You need a stick blender. You need ground flax seed. The flavor is the same — light and lemony — but the texture is a little bit different. It’s less creamy and more firm. It reminds me of the texture of store-bought mayo, like there’s maybe a little gelatin in it. But it is tasty, and it’s better than going without! If you’re familiar with my original homemade mayo recipe and try this one, pay attention to the ingredients list! The quantities are slightly different because the emulsion works a little differently. When mixing eggless mayo into dressings — like Creamy Italian or Cumin-Lime — or into tuna salad (Waldorf Tuna Salad! ), be gentle so it maintains its texture. If you’re too rough with it, it will break and become mere oil. Combine the ground flax seed and hot water in a small bowl. Whisk with a fork until combined. It will look like paste, but have the texture of something vaguely noxious and sticky. It’s almost like a beaten egg, only it’s tan instead of yellow. Set aside to cool to room temperature. This is also a good time to allow the lemon juice to come to room temperature. When the flax and lemon juice are room temp, place them in a jar or the canister that came with your stick blender. Add the mustard, salt, and olive oil all at once… then stick in the stick and go for it. This doesn’t take long at all — maybe 30-40 seconds. As you blend with the stick blender, tilt the jar and move the blender around to continue to incorporate the oil. WARNING: Do not overblend the mixture. If you blend it too long, it will get warm and the emulsification will break, so that you’re left with an oily mess. As soon as it looks like mayo, stop blending. How I use homemade mayo-in devilled eggs, of course! Z will love this…he can’t eat eggs either! I love using homemade mayo in deviled eggs, and ranch dressing. I also schmear it on chicken breast and dip them in either shredded coconut or finely ground almonds to give it a nice crust. Love mayo for tuna eggs, and creamy cucumbers! In all your recipes of course. Your first book helped me transition to clean eating. For that I THANK YOU! I love homemade mayo! I mainly use it for tuna salad. I love to use it in chicken salad – yum! I love it in slaw! My favorite use for mayo is egg salad. Yes. I realize this defeats the purpose of egg-free mayo – but the raw egg in normal mayo has ALWAYS skeeved me out and prevented me from eating it despite my lurrrrrve of its taste. Tuna salad and cole slaw are my two fave ways to use your mayo! Although I just made the creamy Italian dressing last night and it was amazing! I don’t have a favorite way to use homemade mayo, because I have an egg sensitivity and can’t have it. Now that I can, I don’t know what to do with myself! I’ll probably start with some chicken salad. It sounds amazing. I love to use it in tuna salad or chicken salad. Thanks. I love it on a spinach salad with tuna and apples! We keep spinach and artichoke dip – homemade on hand for eating our raw veggies with and that would be my first go-to for homemade mayo. Tuna salad is my main use of mayo but I also love it with burgers! My favourite way to eat homemade mayo is in either deviled eggs or egg salad. As my daughter is a firm paleo, we always seem to have plenty of hard-boiled eggs around. This mixes things up, literally and figuratively, a bit and gives some more variety. Our secret ingredient is a touch of curry powder!! Thanks for this version. How did your man know he had a sensitivity to eggs? I’d like to learn more. As for how I like mayo one of my favorites is lobster salad. It used to be Potato Salad. Ugh. I use homemade mayo in salad dressings and to give vegetable purees a bit of a creamy texture, but I think my favorite use for it is to mix it with homemade Sriracha (I use Michelle Tam’s Whole30-friendly recipe) and serve as a dipping sauce with Scotch eggs. It is FABULOUS. i just ate beets and potatoes with it. sounds weard but right now its jummy! Nothing beats mayo for chicken salad-the classic with grapes. I am so in love with you for perfecting an egg-less version! 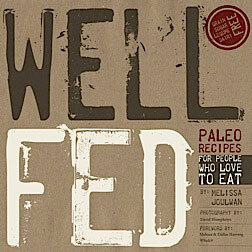 To make the yummy dressings from Well Fed! I can’t have leftover turkey breast in a lettuce wrap without your mayo!! I like to add homemade mayo to most leftover meats, cut up apples and some seasoning mixed together on sliced cucumber for a quick lunch. Drizzled on top of Okonomiyaki (again with the eggs). I make mine with lots of cabbage, shiitake shrooms, guanciale (not Japanese, I know), pea sprouts, and roasted, pulled chicken. When it’s done I sprinkle lots of ground nori on top, drizzle with fish sauce (instead of the okonomiyaki sauce) and mayo. I use your delicious homemade mayo for ranch so my little ones won’t starve. And also to turn leftover roast chicken into chicken salad to make quick lettuce wraps so I don’t starve chasing said kiddos! My favorite way to use homemade mayo is to freak my wife out because she is certain I am going to get an incurable case of salmonella and die! I used homemade mayo as a base for salad dressing, until we realized we had a sensitivity to eggs. So thanks a million for this! Homemade mayo + tabasco sauce = the greatest dipping deliciousness for sweet potato fries. EVER. Dave’s loss is apparently our gain. Taking eggs out of your diet adds an entirely different level of challenge. You have no idea how long I’ve been waiting for this, I can’t wait to try it… Now if you could tell me how to make eggless omelets, or frittatas, that would be awe-some! I use the mayo in chicken salad. Since learning I was allergic to eggs last December, I’ve not enjoyed mayo so am super excited to try this recipe. Thanks! I LOVE using my homemade mayo on burgers, dipping sweet potato fries, and mixing up with tuna. home made mayo? 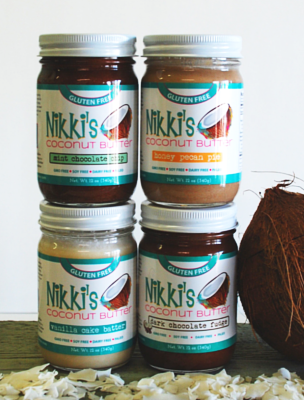 by the spoonful on everything! My favorite way? On a spoon and into my mouth. Or for overkill, filling the cavity of half an avocado, drizzled with balsamic vinegar or some coconut aminos. Tuna or chicken salad. When I need to eat something fast, it’s my quick go-to fuel. I will never buy mayo again! I love tuna salads and making fancy, flavored mayos. Yum! We have been on auto immune protocol for the last 16 months. I have been making various substitutes for mayo I still haven’t found the perfect one yet. I’m looking forward to trying this one. O really want a good Mayo to make a salmon salad. Thanks for the recipe. I love it in my egg salad! I make homemade caesar dressing, tuna salad, egg salad, sardine salad, deconstructed chicken salad (a schmear of mayo on each bite of chicken 🙂 )…the possibilities are endless! I use homemade mayo in tuna or chicken salad. Your Creamy Italian dressing–makes salads super yummy and not “just” healthy. My favorite way to use mayo is with artichokes. Either steamed or grilled. Heaven! I love mayo on many things, and this eggless recipe looks interesting. I’m going to try it with my crab salad! Should be amazing. I am also sometimes sensitive to eggs (but not always) so I”m happy to have an alternative to try! Thank you! My favorite use of mayo is tuna salad. But I also love it with chicken breast, turkey, on a bacon burger with tomato, wrapped in lettuce! Mmmm, now I’m hungry!! We have been using it to make curry tuna salad with celery and raisins! Yummy! i think I’ll make chicken salad. I *heart* my stick blender!!! I’d say it’s a great investment whether you need egg-less mayo or not… I’ve only ever made regular mayo with the Serious Eats stick blender method (works every time!). Plus, I don’t ever have to transfer hot soup into a blender (me + height/pouring + hot things = MAJOR safety hazard). The only thing is that I find it hard to make really smooth soups without straining (maybe the blades just aren’t sharp enough, though). Tuna salad is my go-to mayo use… I like to keep lots of tuna around (and salmon, too) for those days when I can’t bear to cook meat. Add protein and fat together with some crunchy veggies–nom nom nom! Homemade cole slaw for paleo pork sliders! Tuna salad! Thanks for the giveaway! Devilled eggs. I already own your new book (and love it!) so it would be a gift. Great giveaway! My favorite go-to dishes with mayo are creamy cucumbers & coleslaw! Easy to whip up in a pinch when I don’t have much for lunch. My favorite use for your homemade mayo is your Egg Foo Young sauce! I always make at least a double recipe because we slather it on so thick. Second favorite, chipotle mayo (with chipotle powder from Penzey’s) on fish tacos. A slice of beef pastrami or Parma ham thinly spread mayo on top and rolled around a cucumber stick. Sometimes I used to substitute cucumber stick with few black olives and then roll the meat and mayo around them. Yum!! I’m currently on day 28 of AIP and have been missing eggs like crazy even though I only ate them once every 3-4 weeks. Can’t wait to reintroduce them and see if I can have them again. Looking forward to trying egg-free mayo. Thanks so much for the recipe! Love a dollop of mayo on a slice of tomato. Simple but so good! My NEW favorite way to use homemade mayo is in the WF2 Russian Dressing! With sauerkraut and pastrami….. I would probably be very boring and use it on a burger or make salmon salad! I would use it on salad, tuna, cold chicken, cold meats – you name it! Can’t wait to try it. I went eggless 30 days ago and feel so much better, but I miss my mayo! Eggless mayo, I love you! Discovered a mild sensitivity myself. Love(d?) to mix mayo with sriracha as a dip for scotch eggs. Turkey sandwiches. Just turkey, mayo,lettuce salt & pepper. My favorite way to use eggless mayo is on a slice of coconut flour bread with a garden grown tomato slice on top. Yum! I love dipping carrots in mayo! A oops ice hamburger please, with plenty of mayo! My favorite use for homemade mayo is for dipping artichoke in it. my kids and I love to make a ranch dip out of homemade mayo with cashew cream or a tartar sauce with pickles to go with salmon cakes. Recently, I made a double batch and it slipped out of my hands and totally crashed into shards as I was putting the jar back in the fridge. I practically cried at all that yummy-ness wasted. I’ve only made homemade mayo once and it was amazing! But since going AIP, I’ve lived without…until now! Thankyouthankyouthankyou! My favorite is in chicken salad….shredded leftover roasted chicken, quartered red grapes, chopped walnuts, finely chopped sweet onion, mayo, salt, pepper. Tasty on its own or on top of greens with some thick tomato wedges. Thanks for the recipe! I like using homemade mayo in salad dressings, coleslaw, or in chicken or tuna salad. Mmmmm! My favorite way to use mayo? In smitten kitchen’s chicken salad. mmmmmmm. Tuna salad is a lunch staple in our house and I love your mayo with my tuna ! Paired with celery sticks for scooping of course! O.M.G. I love you Melissa Joulwan. Post from heaven. Like Dave, I have a newly noted egg sensitivity and have been missing my Well Fed Mayo a lot. Love it as creamy ranch dressing, and on (nut-less) Waldorf salad amongst many delicious Paleo, eggless things! 🙂 Wish I could go get flax right NOW. ~ Love to spread Mayo on gluten-free toast for a BLT sandwich, YUM!!! P.S. For your egg-less mayo, can we sub chia seeds for the FLAX? I’ve made mayo before in a food processor, never with a stick blender. I don’t have amy issues with egg, but I like trying new recipes and new methods so i will definitely try this. The original recipe is great! My family primarily uses the mayo for tuna and egg salads. We use it in tuna, chicken and egg salad. I was looking for recipes on your site that are auto-immune friendly and decided to suggest to you that you make a category in your recipe index that would include autoimmune friendly. I know many of us would appreciate it!! My husband had an egg allergy so this is great! I like to use homemade mayo to make coleslaw. I use it in a simple shrimp salad all the time! I love all of your recipes that I have made so far! I bet the mayo would be great on salads, maybe in a dressing. I am trying to steer clear of eggs, thanks for all you do! I would make chicken salad!! I would use it to make a garlic aioli! 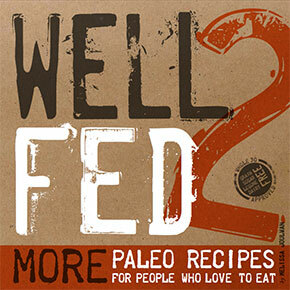 Also, I’m wondering: is there going to be a Kindle edition of Well Fed 2?? I am going to try this tonight as a base for a lime-cliantro dressing for a southwest chicken salad. Thanks again! I found a website that says you have to soak lecithin granules in water for an hour for it to work, I am trying it now. Is that how you did it. I have made 2 attempts already. Not soaked. The second time, everything looked good and then WHAM, it was a liquid. I just found your original mayo recipe, and will make it once my store-bought jar is gone. I plan to use it in coleslaw, chicken salad, and BLTs. Tuna salad and salmon salad. As a dip. I like to add some spices and a bit more oil and turn it into a dip or aioli. In tuna salad, deviled eggs and chicken salad! I love using homemade mayo with tuna – especially when making your firecracker tuna! I love to put it in my chicken salad! My (your version) homemade mayo is used in chicken/waldorf salad, tuna salad, egg salad and cole slow. I use it in my chicken salad! My son has egg allergies. I use avocado instead of eggs (flax gives us all terrible stomach pain and cramping). Like a guacamole, but kissed with lemon and mustard instead of garlic and cilantro, and thinned with olive oil. Double-dose of good fats and a great flavor and texture – but maybe avocadoes are no-no on an elimination diet? IDK, I’ve had to eliminate all nuts, eggs, and dairy from my life due to keeping kiddo healthy, I’m glad to not have to remove anything else. L-O-V-I-N-G Well Fed 2, Melissa. Making Tod Mun Fish Cakes tonight – we got a beautiful striped bass filet from our neighbor’s recent fishing expedition. BBQ Sauce and Ketchup are huge wins and my husband really loved his Buffalo Chicken salad the other day. When I finally get that Whole 30 started (Nov. 1st! but my kids are obligate carbovores and my will is weak) your books will be my go-to for keeping the fridge full of top-notch nutrition. Thanks for this terrific addition to my ever-groaning cookbook shelf. I love using mayo in Chicken Salad!! Tuna salad, chicken salad, and deviled eggs for me too! Also, add garlic to garnish fish soup/stew. I use it on my burgers and to make chicken salad. I use homemade mayo for tuna salad and curry chicken salad. Thanks for this. Vegannaise makes egg free mayo but with undesireable oils, even the olive oil one has canola or something. Homemade mayo YUM! Foundation for salad dressing, egg salad, mixed with homemade smoked salmon, cole slaw! 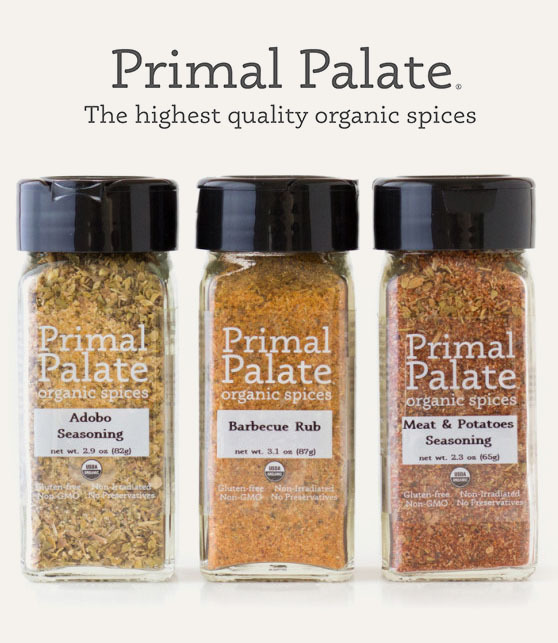 I use it on just about everything, but my favorite is dipping roasted veggie in it. Makes even the icky veggies taste good! In egg salad! Obviously no sensitivity here. Good luck with your boycott! I love to put mayo on top of ground beef. So yummy. And I’ve been wanting a hand mixer. Thanks Melissa for all you do! I am not sensitive to eggs but I might try this for the taste sensation because these days, I am all in for new flavors. I’ve never liked store-bought mayo so learning to make homemade was a revelation. When I make a batch I use it on everything since it doesn’t keep all that well. I love dipping artichokes in it during the summer (with extra lemon and garlic in the mayo), making a raw broccoli bacon salad (a la old school that I would never eat before because of the mayo), chicken salad, so much. Thank you! Homemade mayo in chicken salad is the bomb! I used it for Chicken salad and my kids love to dip anything into it. I am wanting to make some salad dressing with it too. I love the homemade mayo with tuna most of all. Mmmmm…. Deviled eggs are one of my faves! salad with grapes, celery, cocnut aminos, buttered almonds, and curry powder Yum! I love to use homemade mayo to make avocado dressing/dip for veggies! I’m going on the autoimmune protocol soon so this eggless version of mayo will come in very handy! Thanks! One of my favorite ways to use homemade mayo is in our family’s favorite Layered Salad! The dressing was traditionally a mix of sour cream and mayo, but we are currently all egg and dairy free here, so that posed a bit of a problem. So the last time we made it we just used an olive oil based, soy free vegan mayo. I am SO excited to try it with this homemade mayo! Spread with a blended mixture of 50/50 sour cream and mayo (or just mayo) over top of the salad. Top with diced red and green peppers. (If primal or not dairy intolerant, can also top with shredded cheddar cheese (traditionally)). Can’t wait to try your new recipe! I’m fairly new to Whole 30 and the Paleo diet and have actually never made homemade mayo. We’ve just been eating basic paired down food. I WOULD LOVE to win your new book!! I’m not a mayo fan because honestly I don’t like to eat raw eggs,so your eggless recipe would be AWESOME too. And my hubby would love me for it! Thanks for helping a girl out!! Love homemade mayo for tartar sauce for Maryland crabcakes. Wow – thank you, thank you, thank you! I haven’t had mayo since I discovered my egg sensitivity about 4 years ago! I get to have mayo again!!! I will have it on lamb burgers, on chicken, on raw carrots, raw celery, in a ham/lettuce mix/apple wrap… basically on everything! I am so excited for this egg-less mayo. I also have a moderate reaction to eggs (insert sad face) so I have never tried your original mayo recipe. I’m excited to be able to try some different recipes now – chicken or tuna salad, and just get creative. Homemade mayo goes in and on just about everything! All kinds of salads, etc. I’ve gotten some new ideas from others just by reading the comments! Yay!! I love dipping salmon patties (w30 compliant) into homemade mayo! The cumin-lime dressing is our new favorite. I put it on shredded chicken with spanish caulirice last night, and my husband was so caught up in how good the sauce was he didn’t care he was eating cauliflower instead of rice. Really enjoy using it with a bit of smoked turkey to make a turkey salad out of it. Then toss it in a leaf of butter lettuce and enjoy. How else? Err… a few days too late. I wish I had this recipe when I made banh mi sandwiches this weekend and found that I was completely out of mayo! I use your homemade mayo with garlic powder, dill and lemon on grilled salmon. It is the only way my daughter will eat salmon. My fav way to use the homemade mayo is for tuna salad! Love homemade mayo too many ways to count, but it’s most loved by my son in chicken salad with fresh mint. Looking forward to trying it eggless. just learned what paleo is about. i’m trying to healthify and ivestigated other diets. paleo makes sense. loved your recipe for eggless mayo. could that be done with coconut oil? 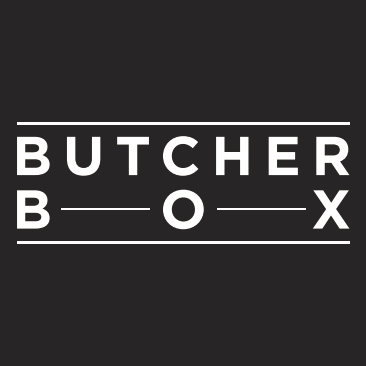 would love to win your cookbook. i love trying new recipes. my spice cupboard looks as ginormous as yours. I’ve tried mayo with coconut oil, and I didn’t care for it at all. It tasted sweet to me, and it gets VERY hard in the refrigerator. I don’t recommend it for this recipe. However, if you don’t want to use olive oil, you can replace the olive oil with avocado oil instead. We like to make “monkey brains” with homemade mayo, mustard, cauliflower, and whatever seasons we feel like that day. 🙂 It’s also a must in all of our favorite (paleo approved) dressings. Canned salmon, homemade mayo, onion, dill. Now that’s fast food. I would use it for egg salad or chicken salad! I love making chicken salad with grapes apples and almonds. I would LOVE to win these prizes! I need good paleo/whole 30 recipes, and I’ve wanted a stick blender for forever. Your mayo is wonderful. I use it to make ranch dressing, tuna salad, and deviled eggs. I also like it on hamburgers. I love homemade mayo on most anything especially on meat and in dressings. Love mayo on a burger or salmon salad 🙂 I have an egg sensitivity too so I will give this a whirl! thanks so much!! I recently discovered your fabulousness while participating in the WLC. I found the Buffalo Chicken Chopped salad and love to make the Ranch Dressing with your Homemade Mayo recipe. I love your posts and Well Fed. Fantastic ideas, recipes, and pictures – you are very creative!!! I use homemade mayo in pimento cheese. It’s the only way it tastes right! Artichokes definitely. And just about every other veggie as well 🙂 I made asparagus the other night and drizzled some my batch of failed mayo over them. Delicious! I love using homemade mayo in a buffalo chicken salad recipe. I could eat that all day long! The Spicy Secret Sauce is my favorite way to use homemade mayo. The Egg Foo Yong recipe from Well Fed is almost as addictive as the Pork Carnitas and when topped with the Spicy Secret Sauce – this girl is out of control! It is oh so good. After finding out I was pregnant, I made a few attempts at consuming homemade mayo (using well-sourced, pastured eggs) and my stomach was not okay with that decision after each attempt. I’m so happy to have an alternative for mayo for the next few months!! Thanks for this great recipe. As usual! Looking forward to adding Well Fed 2 to my collection. It will be the second most used cookbook in my kitchen, right behind Well Fed. My beloved has a sensitivity to raw/undercooked eggs, so we’ve been doing without mayo since going paleo (he’s not much of a mayo fan, but I really miss it). I’m looking forward to trying this version in deviled eggs– one the things I like to take to parties, to be sure there’s something low-carb for us to eat, that everyone likes. 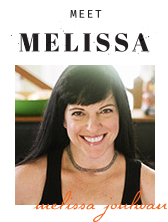 Thanks for all your wonderful recipes, Melissa! 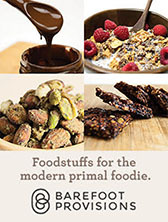 It’s made the transition to paleo an easy and tasty adventure. Thank you for this! Well Fed is my cooking Bible, but I recently found out my little one is allergic to eggs. We live off of the mayo recipe and thought “Well there goes that!” I squeed a bit when I saw this. Love your homemade mayo and use it to make dipping sauces and salad dressing…yum!! This is awesome! Up until now, my little boy (who’s 3 and allergic to eggs) has been hooked on what we have affectionately dubbed “buddy mayo,” which is soy free veganaise. His favorite way to eat it is on homemade sweet potato fries. My fave way is either with the sweet potatoe fries or mashed with chicken and avocado in a lettuce wrap. So psyched about this recipe! My favorite way to use the homemade mayo is to use it often : ) I make a lot of tuna salad and chicken salad for our lunches and use it for cole slaw and many other goodies! I love to use homemade mayo for carrot salad. I often make a big batch to have for breakfast, lunch, or dinner all week. would love to try this mayo version! I love homemade mayo in slaw but I have been meaning to do a tuna or chicken salad for a while! Egg Salad made with olives and homemade mayo! Yumm and Whole 30 compliant too! I love to use homemade mayo in protein-based salads, like egg salad, tuna salad, salmon salad, chicken salad. Yesterday, though, had to have been my favorite: for the first time I made shrimp salad with those wild caught tiny pink salad shrimp. I make sweet potato fries and dip it in the homemade mayo mixed with a little sriacha sauce and hot sesame oil. Yum!! Italian dressing! I triple the recipe and use the entire batch of mayo. There must always be a mason jar of the stuff in my fridge for dipping veggies in! I use homemade mayo in all the well fed sauces, on salmon cakes, egg foo yong, any meat that doesn’t already have a sauce.. I especially like the spicy secret sauce, and mixing it with a little mustard and balsamic as a salad dressing. I wish I had seen this earlier in my pregnancy (I’m due yesterday). I had been thinking about making my own mayo but raw eggs seemed to risky. I’ll bookmark it in case we go for #4 …. I’m intolerant to eggs (and gluten and dairy) so I was excited to see this recipe! I love mayo mixed with salsa–makes a great easy dip! why no evoo? curious when you say light olive oil you mean light in color? not light as in low fat, low calorie or otherwise? unrefined evoo I thought was the approved fat? It’s light TASTING olive oil. Extra-virgin olive oil is too strong in flavor. It tastes really awful in mayo. Instead, I recommend you use light-tasting olive oil — Bertoli and Filippo Berio both work — or you can use avocado oil, but that can be quite expensive. The last time I made it, it bombed, too. It’s a little fussy. Try dividing the oil… start with all ingredients plus 1/4 cup of oil in the jar and blend. Then add another 1/4 cup; blend. Repeat until it’s mayonnaise-y and don’t feel like you need to add the entire cup of oil. Good luck! So, I have a suggestion after I had a happy accident. Use your original oo mayo recipie, but instead of egg, use half of an avacado. it’s brilliant. I remembered you posting this one awhile back and me thinking- oh you poor things, mayo is one of life’s true pleasures! Anyway, I am now pregnant and uncooked eggs are a big No-No and I am pretty much addicted to the Deli Tuna Salad and Buffalo Chicken Salad in Well Fed 2! So thanks AGAIN for making my food interesting when so much of the good stuff is off limits!!! The light-tasting oil is recommended for TASTE only. Extra-virgin olive oil has a very distinctive taste that’s overpowering in mayo. You can use macadamia nut oil or avocado oil, too — they have a mild flavor that works well. Yes, either will work: use prepared mustard or skip it. Thank you so much for this recipe. I found some flax meal this week and just made a batch and it’s in the fridge. I made your egg version last week and four of us loved it. My daughter is allergic to eggs and is going to be very excited in the morning when I tell her I have made her some mayo. I couldn’t believe how easy it was to make. I used the blender for the egg mayo but the stick blender is awesome. Thanks for your site the resources are awesome. I’m so glad you found this recipe and that it’s going to come in handy for your daughter. YAY! Enjoy! I just tried this because I forgot to buy eggs and needed mayo quick… it’s great! I had it with bahn mi lettuce wraps. So good! I’m glad you like it! And you’re eating it voluntarily… awesome! I am nearly in tears (of joy) right now. Egg-less mayo! I have a severe egg allergy and so I’m always missing out on the yummy sauces made with mayo so THANK YOU!! I’ll take the slightly off texture – after more than 30 years I really don’t remember what real mayo tasted and felt like. You rocked my week! Having just ruined a cup of expensive oil trying to make mayo with egg (I tried to home pasteurize the egg and maybe it was too warm??). I tried your egg-less version. It worked like a charm. I ground the flax myself and used limes instead of lemon. The mayo I made is thick like regular mayo and it tastes really good. I don’t think it is gritty at all. Thanks for the egg-less option. 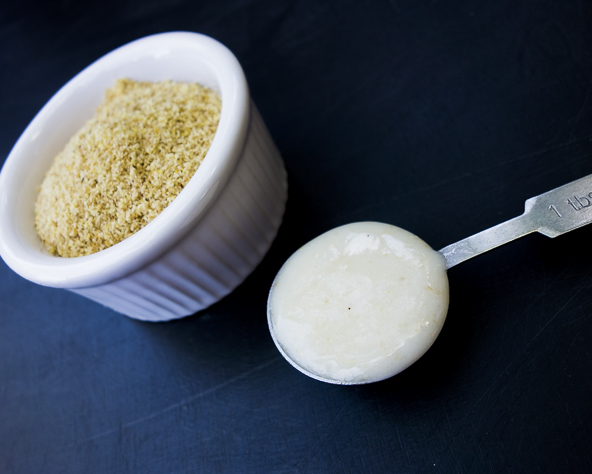 I just found this on your site & am beyond excited to try it – I’ve been making homemade mayo for the last 6 months and feel terrible that my son can’t try it (egg allergy) – now he can have his own personal batch – THANKS! Oh… hooray! I’m so glad you found me and that you’re wee one will get to try this. Happy cooking! Having chemotherapy I need to stop eating the same things as expectant mothers so no raw eggs. I am so excited to find this recipe as I love mayo and I am missing it! My mission tomorrow is to find ground flax seed. I’m glad you found my recipe. Best wishes to you! Oops. Sorry. Just saw the post where you said it’s ok to skip the mustard. But Wahhhh!!! It’s not working for me! Not sure what I’m doing wrong. Did it twice. First time I thought that I might have over-mixed. But the 2nd time it immediately just turned to what look like soup. 🙁 Any idea what it could be? Without being in the kitchen with you, it’s impossible to say. If you want to try again, use less oil… maybe only about 3/4 up after the initial 1/4 cup. It could also possibly be that the head of the blender was not at the very bottom of the mixing container. I’ve found that having it hit the bottom is essential for emulsification..
I’m right there with you. It turned right into salad dressing. Will it firm up over time? It’s the right color. Just soup. Thanks for the eggless mayo! It worked perfectly. Hurrah! I have not had mayonnaise for years, just didn’t agree with me (got so many allergies and digestive problems [am in the process of transitioning to Paleo!!!]). I made this version today and for the first time in years actually had a salad with mayonnaise! It had green and red oakleaf lettuce, cucumber, carrot, shallots, mayonnaise, walnuts and some cold pre-steamed white and sweet potato. So yum! If I could i’d attach a photo for you. I’m ecstatic! The mayo worked perfectly first time, tasted amazing and i am so excited that i now have so many more options for salads and meal dressings. Thank you so much for sharing this recipe and giving such comprehensive steps to follow. You have literally changed my life! Thank you. I’m so happy you liked this recipe and that it put may back in your life. Fantastic! I hope you enjoy it in many more recipes. Will it work to substitute Chia seeds in place of Flax seeds? I don’t know — I never tried it that way. Sorry! Could i use prepared mustard instean of dry mustard? Getting ready to make the eggless mayo….for my stick blender do I use the whisk or just the stick??? Please help!!!! I just used the stick! I just did some allergy testing to find that I have an egg allergy. Unfortunately, mustard and garlic are things I am to avoid as well. (insert huge sad face here) If I do not put the mustard in, will it be completely yucky? Or is there another spice I can put in place? I am needing some assistance kn figuring sensjtivities out….Do you go to a certain type doc for that??? We seem to have a shortage of good ones here in the South! I went to a functional medicine doctor (Amy Myers at Austin Ultrahealth http://www.austinultrahealth.com). 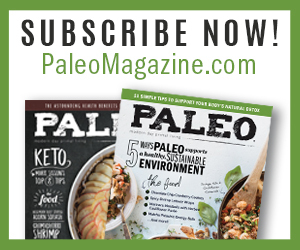 You can find paleo/primal friendly docs at these links, and they should be able to help you get to the bottom of food sensitivities. Love this recipe! I found it a bit too thick and lemony for me, so the second batch I used less lemon juice and after emulsifying, I added 1.5 Tbsp more oil and reblended with a spoon and it turned into a wonderfully creamy condiment. Like you said, not really like mayo, but I think I like it better than mayo–it is great in tuna and as the dressing in potato salad. Definitely a Keeper! I fell in love with your olive oil mayo. I was truly mesmerized by the stick blender transformation in mere seconds! I am not a huge mayo fan, but I wanted to make a ranch style dip with fresh herbs. I also found out that I don’t do well with eggs after a kitchen remodel and a month without eating them. They gave me horrible stomach cramps among other things. Breakfast, quite frankly, stunk. I found a local lady selling duck eggs on Craigslist and decided to give them a try after reading many people who have egg allergies don’t have an allergic response. It worked! Breakfast is fun again and I can eat duck egg mayo. That’s such good news. Yay for you! I wonder what would happen if you DID add a little gelatin? And used ACV instead of lemon juice . . . I don’t know anything about gelatin, but you can certainly swap in ACV for lemon juice. I prefer the taste of lemon, but I know some people like the vinegar flavor more. Don’t despair! Sometimes, after staying away from eggs for a while, you can reintroduce them! My husband had that issue, too, and he ate an elimination diet for 3-4 months, then was able to add eggs back in. Hang in there! My wife and son are big mayo fans, but our youngest has a handful of allergies. Just Mayo seems to be missing lately and I would like to do this. How long does this last and how much is made per the recipe? I apologize if these were addressed and overlooked in the comments. I also just found out I have an egg sensitivity. Talk about bad luck. We just raised 9 baby chickens and have 5 adults laying an egg each per day. Pretty soon we will have 6 dozen eggs per week and I cannot eat eggs. I also found out that I am really sensitive to chicken. About two hours after eating chicken I start getting a headache, stuffy nose and itchy skin and eyes. The allergy gets much worse for about 8 hours and then starts getting better. I’m sorry you got bad news. You’ll adapt! Hang in there. Hi! I am doing a detox right now (no eggs). This recipe has been a lifesaver! It emulsified perfectly the first time, but this time it didn’t. Any tips on why it wouldn’t emulsify and/or if there’s any way to save it? Thanks so much! Without being in the kitchen with you while you’re cooking, there’s no way for me to know what might the issue might be. I’m sorry! You might try making it in a jar with a stick blender — that’s how I make regular mayo now and it works every time. This didnt work for me? I dont know what i did wrong and was so angry bc it was the last of my olive oil!!! Without being in the kitchen with you while you’re cooking, there’s no way for me to know what might the issue might be. Do you want to provide some details? I’ve always made my paleo-egg-mayo into a dip with herbs, and going eggless has made me *such* a (whiny) sad panda :-(. I kept trying to like the avocado oil + palm oil version, but yeeeeeccchhh I can’t stand that flavor, and it’s so thin and disappointing (AND expensive! I mean, Come ON!)! BUT THIS!! This is way better! Thank you for all the tips and cautions and ‘be carefuls’…I’m especially going to enjoy not having to blend for such a long time to get a good emulsion (as in egg paleo mayo). Woohoo!!! YOU ROCK! Oh, good! I’m so glad this recipe is helpful — and I’m happy it worked for you. It can be a little fussy. Enjoy! Thanks for letting me know you like it! Sad trombone for you; happy dance for me! Out of all the things I don’t/can’t eat, eggs are the only one I really regret (allergic). I have used some not quite paleo, kinda cheating commercial vegan mayos (Just Mayo is awesome but, canola oil, not so awesome), and I’ll feel it, I can get away with a little but it’s not good for me. So, I’m psyched. It didn’t occur to me that you’d have an eggless recipe because you refer to your eggful recipe so often, so I googled paleo vegan mayo and saw your name. Chop the onion and place in a pint-size Mason jar. Add the the egg yolk, 2 tablespoons of the olive oil, lemon juice, tomato paste, vinegar, hot sauce, coconut aminos, paprika, salt, mustard powder, and garlic powder to the jar. Whirl with the stick blender until puréed. With the blender running inside the jar, add the remaining 1/2 cup oil and blend until smooth. Mince the pickles, add them to the jar, and stir with a fork to combine. Oooh thanks for the Thousand Island Dressing recipe!!! I’ve just been winging it with homemade mayo, homemade ketchup, and a few other things! I like the idea of the hot sauce in it, yum! My son is allergic to flax. Can you make this without the flaxseed? If so, will it still taste ok? Um – why NOT extra virgin olive oil? It’s what I’ve got; it’s what I use for almost everything. I like it. Why NOT use it? Is there something like a chemical reason not to? Please, explain. Thank you. It will work, but it will not taste very good. The olive flavor is overwhelming and ruins the taste of the mayo. You can certainly try it, but I do not advise it. I agree with Melissa. I’ve made Mayo with extra virgin olive oil in the past and wound up throwing it away because it really does make the mayonnaise taste pretty nasty.